Everest Base Camp and Mount Kilimanjaro are considered two of our most extreme trekking challenges due to the harsh conditions, battling with altitude. These treks are no easy feat. But armed with a wedding dress, one woman took on two mighty mountain experiences, and we're here to find out about her quest for adventure! Meet Amanda, the woman taking her wedding dress on a path a little longer than the church aisle. So, Amanda, tell us why you chose to take on two of our most challenging experiences? "Being quite obsessed with Everest and everything about it, I wanted to complete Everest Base Camp, and I had always vowed to do it in my 50th year." "I thought that would be it. However, when I returned home, I realised that there were so many more mountains to climb. 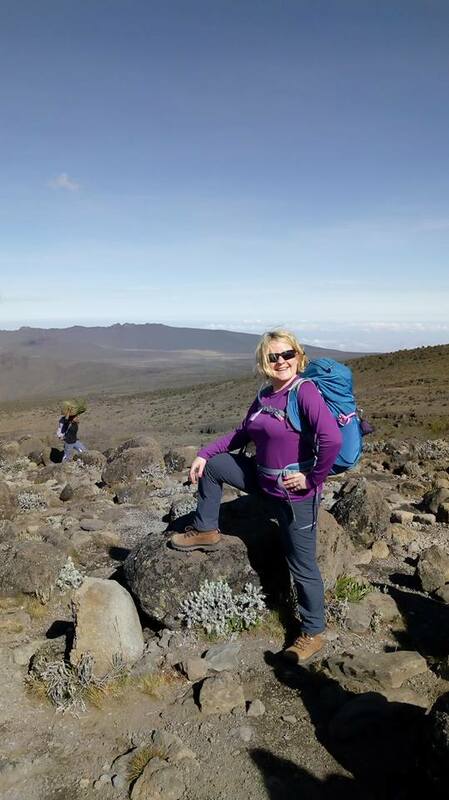 I had contracted the adventure bug, and it was then that I decided to climb Kili." Had you completed any other trekking challenges or events before you took on Everest Base Camp? "I try and do a challenge every year for a different charity, so I feel that I am reaching lots of different charities. So far, I have completed charity walks, charity runs, the Manchester to Blackpool bike ride, National Three Peaks and the Yorkshire Three Peaks." Wow, you have been busy! What a difference you are making to hundreds of people's lives with the fund-raising you are completing too. 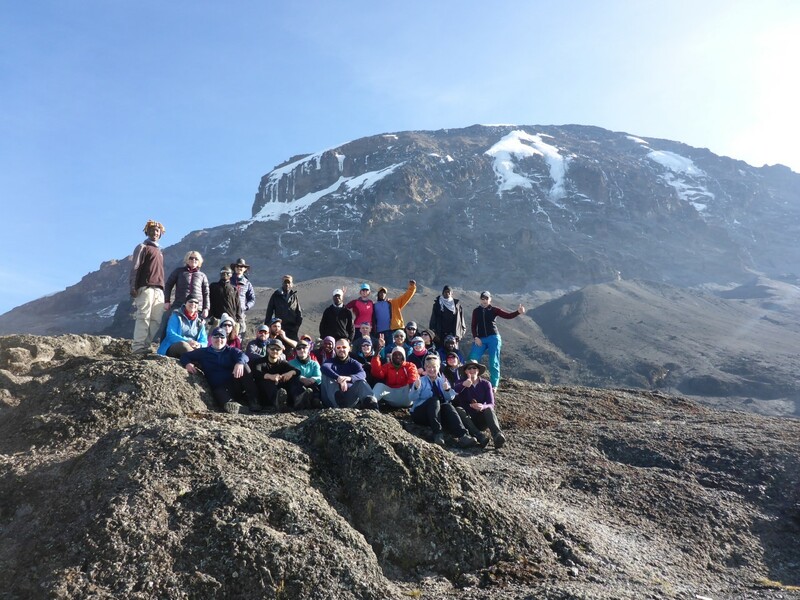 Everest Base Camp and Mount Kilimanjaro are trekking challenges on a slightly larger scale! How did you prepare for such iconic and tough treks? 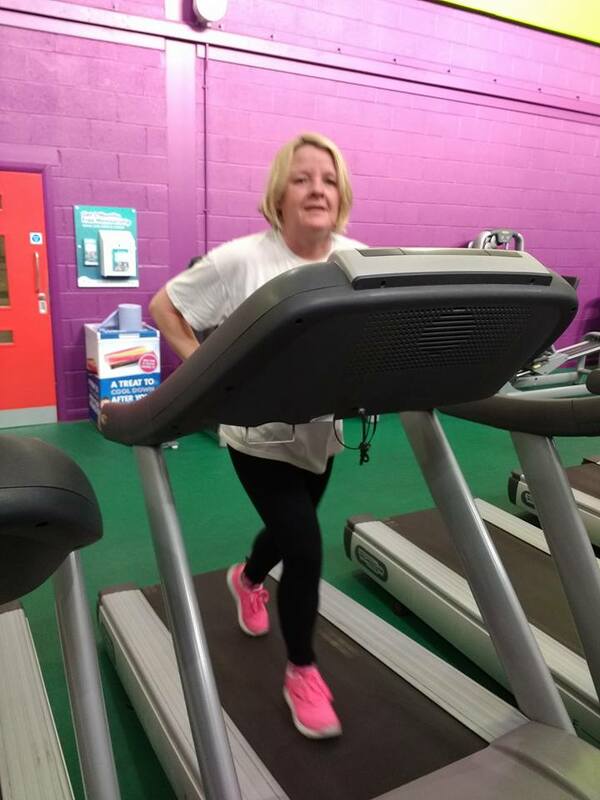 "I swam, ran and did aerobic exercise classes to train for my two big treks, even when I was away on holiday I continued to train by swimming every day." That's dedication. Exactly what is required, when training for adventures of this kind. We recommend booking such trips reasonably far in advance to give yourself plenty of time to train sufficiently and prepare your body for the endurance of multi-day trekking. So tell us what your experience of the Everest Base Camp and Mount Kilimanjaro challenges was really like! 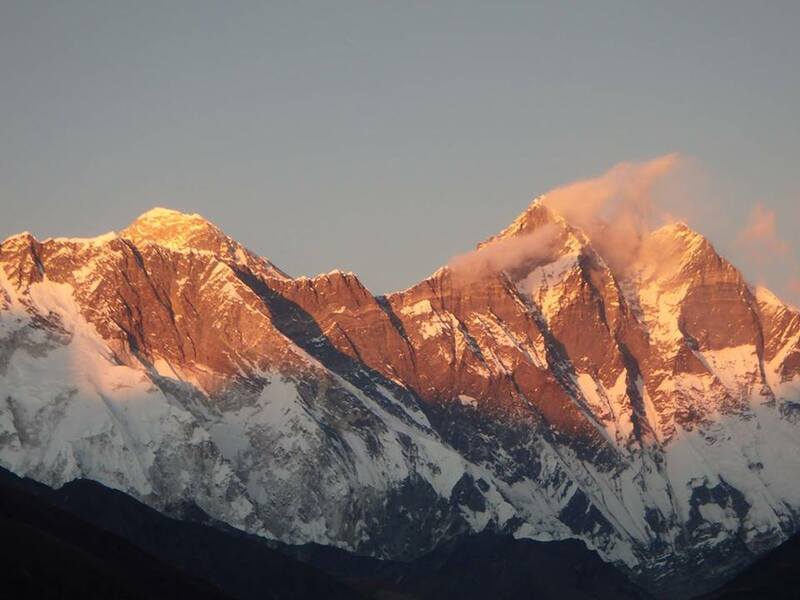 "It's not just about seeing Mount Everest in the distance, which in itself is one amazing view and extremely emotional to set your eyes on in real-life. On the Everest Base Camp trek, you get to see some phenomenal and spectacular views around every corner. The whole experience of trekking to Everest Base Camp is one that I will never forget. The views, people, tea houses, yaks, villages, rivers and bridges will stay with me for life, and I plan to return to the Himalayas at some point." 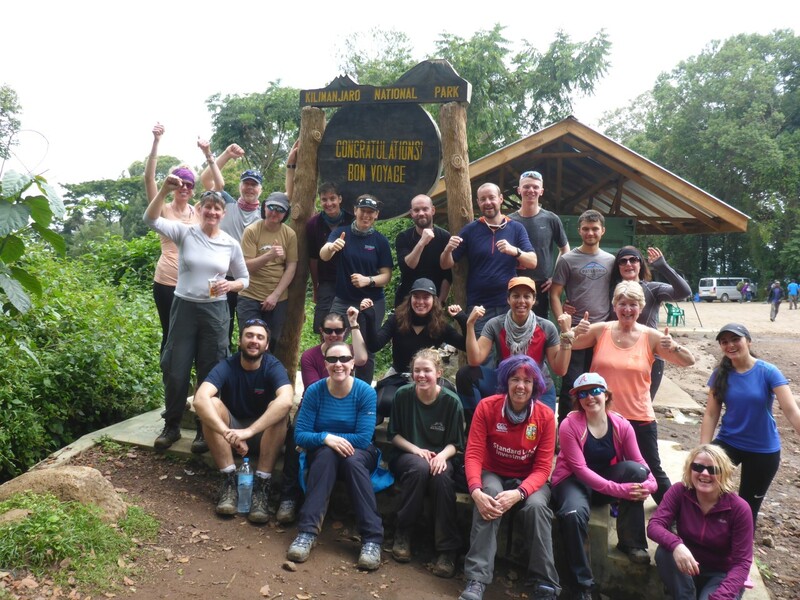 "Kilimanjaro is a whole new and different experience, and a truly spectacular journey. It's a tough trek, as you are constantly trekking on an incline over six days. The summit appears to grow bigger and bigger, by the day, as you trek towards it. However, it is amazing to clearly see the big beast ahead of you and know that every step you are getting closer and closer." Two trips with altitude but distinctly different experiences, both that are sure to leave you with a huge sense of achievement that will last a lifetime. We've seen snaps of you wearing a wedding dress on both of your challenges - very glamorous! 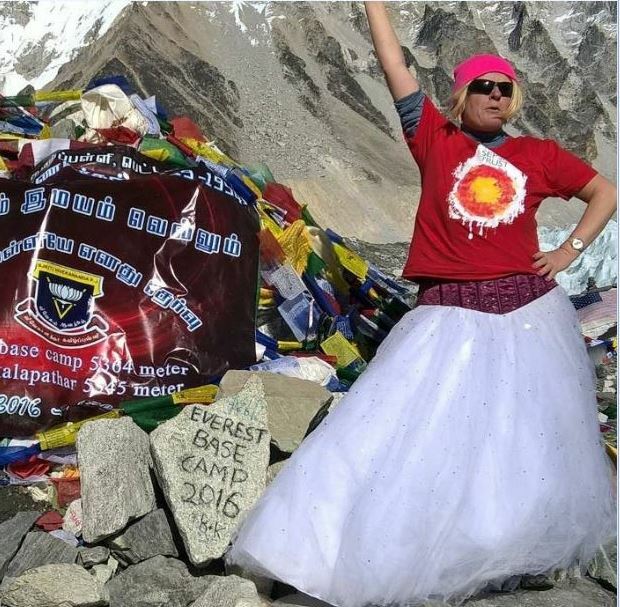 What inspired you to don a wedding dress at the finish line of Everest Base Camp and the summit of Kilimanjaro? "It all started quite innocently. I have been married for 8 years this September, however, could never imagine not wearing my wedding dress again as I love it so much! I would wear it around the house, perhaps having a glass of wine or doing the ironing, and even completed the ice bucket challenge in it. 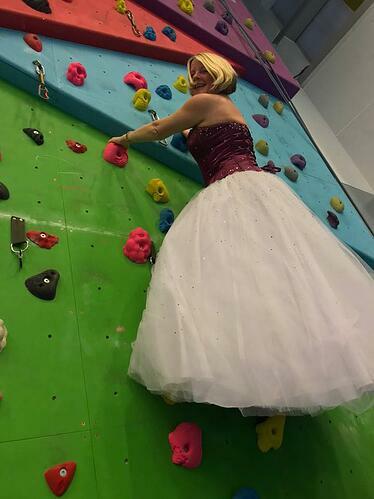 I put pictures of me doing all these different activities in my wedding dress on Facebook, and I got an overwhelming response! Lots of positive feedback, with people saying that they had been having a rubbish day until they saw me on Facebook in my dress doing all these random things, and when I bumped into people, they would often ask about my dress and how it was doing. 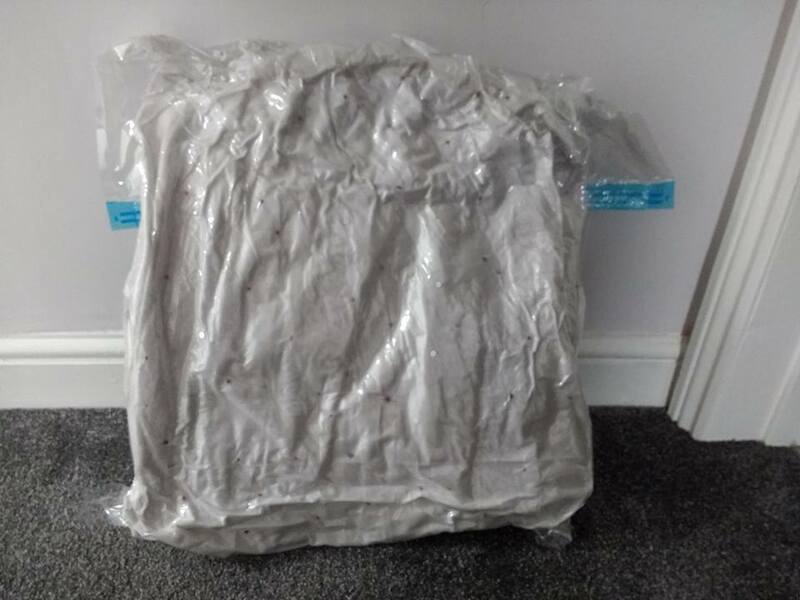 I realised that wearing my wedding dress gave me a lot more publicity and followers on my Facebook page, so I decided to use it as a tool to raise more money for different charities." What a fantastic and unique idea to raise awareness of your chosen charities and help your fundraising target. With the difficulty of taking a wedding dress with you while on these trekking challenges in mind, what were the biggest struggles you faced on both of your trips? "HEIGHTS! I am frightened of heights and had a couple of panic attacks doing Everest Base Camp and cried doing a section on Kili. However, I did it and have definitely become a little stronger because of it." Incredible! It's funny how the moments that challenge us the most, are the very ones that we are most proud of and the memories that linger the longest. What were the most memorable moments of your trips? "Reaching the top and achieving your aim is the best feeling ever. All the hard work and all the emotions, especially achieving this with a group of people who you have never met before but all have the same goal in mind. You get to know your fellow trekkers in a very intense way over a short period of time, and at the end of the trek, you are all stood together in the same spot. It’s an absolutely amazing feeling and the most exhilarating experience ever." It really is the people around you that help you get through the highs and lows that are inevitable on these challenges. When the going got tough, where did you find the support during your experiences? "I couldn't have completed these challenges without the DA staff and other participants. They all keep you motivated, especially the staff as they have done these treks before so know what to expect and how you will feel. The other participants really keep each other going. There is a varied age range, and everyone has something different to give, I gave a young girl a mummy hug one day as the altitude had kicked in and she felt very low." Amazing camaraderie. The experiences seem to have had a hugely positive impact on you. "I feel that, mentally, I am a different person. When I trekked to Everest Base Camp, I had not long since lost both my parents, so I was still raw with grief. I am not suggesting for one minute that signing up for a big trek gets you through grief. However, Everest Base Camp gave me a new focus in my life to concentrate on and helped me through my grief. I have a stronger belief in myself now and what I am capable of achieving." People sign up for our trips for many different reasons, and as a result, benefit from these experiences in such varying ways. What would you say to someone thinking of signing up to a challenge? "If you have thought about doing a trek then sign up, everything else will fall into place afterwards. Train lots and make sure you have the mental attitude to get you through it. 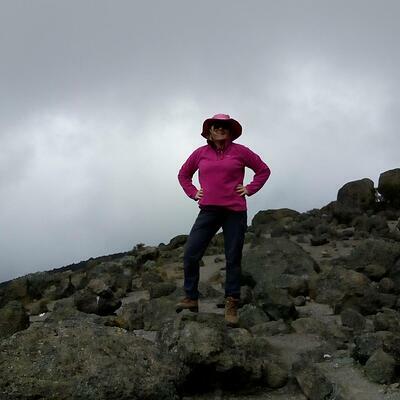 Once I reached Stella Point on Kili, I didn't think I had an ounce of strength in me to put another foot forward. I had never in my life been as physically tired as I was at this point. However, it was my mental attitude and the amazing porter who got me to Uhuru Peak. I kept thinking why I was there and who I was raising money for and when I reached the final spot I had new found energy. Dig deep, and you will achieve what you have set out to achieve." Wise words from a wonderful lady! Good luck in your future endeavours, we can't wait to see where your wedding dress is taken next! 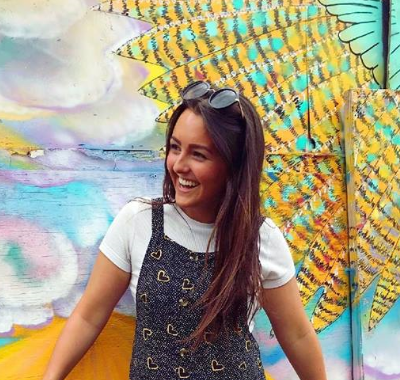 If you are feeling inspired by Amanda's gutsy attitude and thirst for adventure, why not check out our challenges page and find an experience that excites you? We are releasing new and thrilling adventures soon so keep your eyes peeled for our upcoming brochure!